It’s hard to explain to anybody what being an independent journalist means. I experience feel that often now that I live in Diyarbakir. Last month a friend here called me and said there was room in the car and that I could come. I had no clue what he was talking about. Where to? What was happening? Did I forget some invitation? ‘No’, he said, ‘Halfeti!’ Ah, he was going to Halfeti, Urfa province, for the birthday party of Abdullah Öcalan. He was kind of flabbergasted that I didn’t want to come. He somehow considers me as part of the Kurdish movement. As somebody who wants to go to every national celebration or commemoration and cheer for Öcalan. Whereas in fact all the Kurdish political events I go to, I go to as a journalist. Last year I did go to Halfeti (and I took the pic above), but that was for journalistic reasons: it was right after the Newroz in which Öcalan declared the armed struggle was over, and I was wondering if the state would allow the celebrations in Halfeti for the first time. They did. This year for Newroz I went to Qandil. 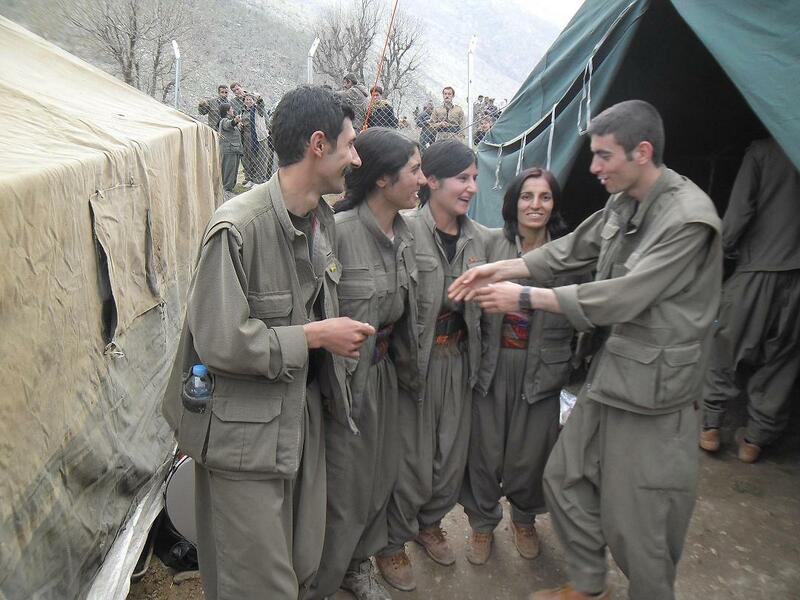 Not because I love the PKK and wanted to dance a halay with guerrillas (guerillas dancing halay underneath on the pic), but because I specialize in the Kurdish issue and it’s relevant to go take a look there. To meet the man in the KCK who is responsible for press contacts, to talk to guerrillas, to see who comes to Qandil to celebrate, to see the place with my own eyes. For me to love the PKK is impossible. I want to understand what they are doing and why, that’s all. Same with the BDP, or any political party in Turkey: sorry, I will try to understand you and the people who vote for you, but I will never love you. And Öcalan? I would love to interview him to try to understand him better, but loving him? No way. The whole concept of leaders who turn saints in the eyes of their followers, that turns me off, whether it’s Atatürk or Öcalan – or Erdogan, for that matter. I think such leadership is dangerous. Not only many Kurds, but many others too don’t get the concept of independent journalism. Like people who call me a ‘pro-Kurdish’ writer, usually Turks or foreigners in Turkey. Would you call a journalist who focuses on gay rights a ‘pro-gay writer’? A journalist who operates from Ankara or Istanbul and writes about the Turks’ perspective on current issues a ‘pro-Turkish writer’? Did anybody call me a pro-Turkish writer when I went to the commemoration of the Gallipoli battle? 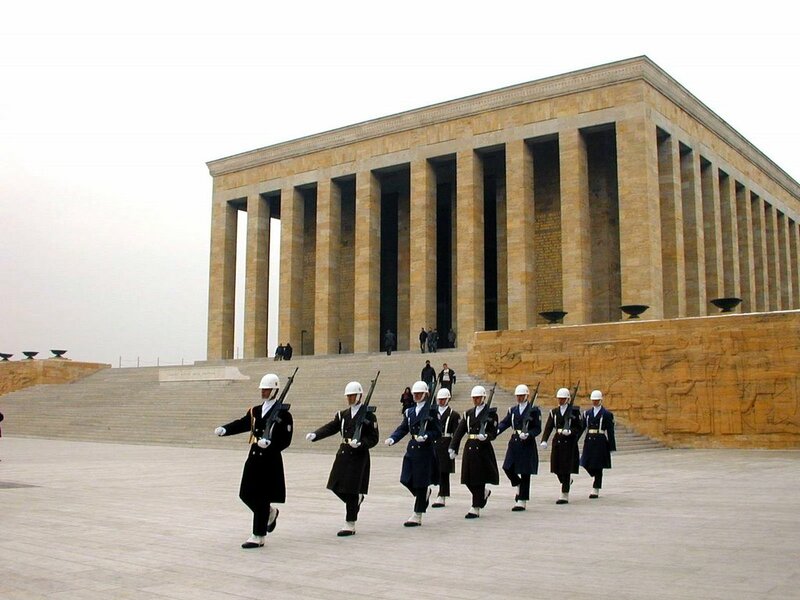 Or when I visited Atatürk’s mausoleum, Anıtkabir (pic underneath)? If anything, I am a journalist with a lifelong interest in human rights, which I nowadays prefer to describe as an interest in matters concerning identity. Since the Kurdish issue is about identity, I chose to specialize in it. 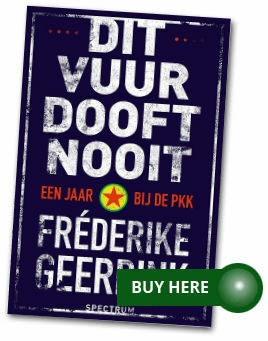 That’s not pro-Kurdish, that’s pro-rights. Kurds are just the biggest group in Turkey that are oppressed by the state, their oppression caused the death of tens of thousands of people (and counting), and the Kurdish issue defines Turkish foreign policy in the region, which is enough reason for a freelance journalist to focus on that group. If the Kurds get the rights they are entitled to under international law, – which also requires a new and truly democratic constitution – the problems of other groups in Turkey that are denied their identity will be solved as well. Other group meaning all the people in this country who are not heterosexual Sunni Muslim Turks. If you demean me and my work by calling me ‘pro-Kurdish’, I think it’s time to check how much you really understand about Turkey and the Kurdish issue, and where you exactly stand yourself when it comes to rights that people all over the world are just born with. If you let that sink in, you’ll also get why it’s not correct to call the BDP a ‘pro-Kurdish’ party, as they are often referred to, and why they would never describe themselves that way. 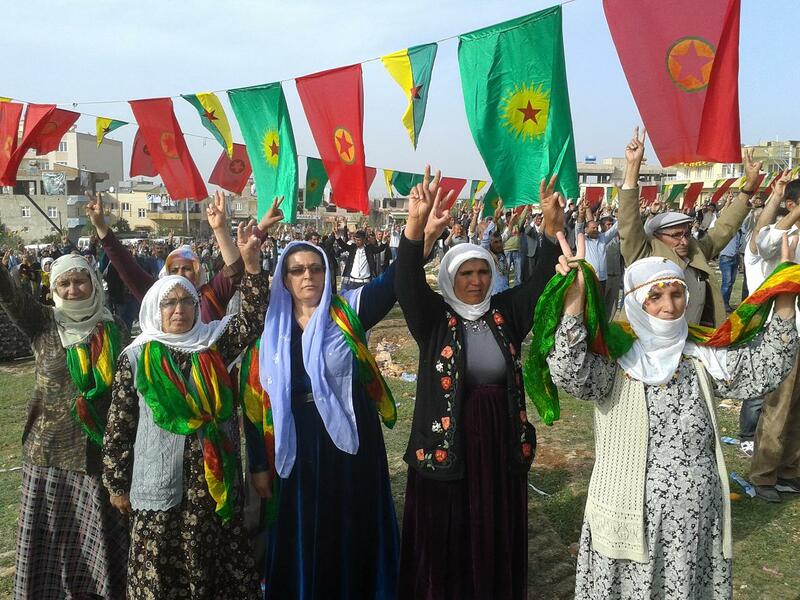 They are not pro-Kurdish, they are pro-human rights. Like me. No, I don’t love them for that. I do support the goal, but that’s something fundamentally different.